With this item you will earn 52.77 Points in Homespun Rewards! Includes Dear Jane triangle & square tools. Each tool has an easy to read, big number design & built in 1/4in seam allowance. 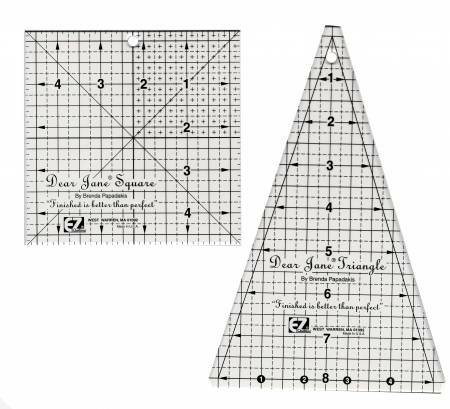 Designed for creating Dear Jane quilts as seen in the book Dear Jane 882670199.